Ad blocking is a pervasive threat to the digital advertising and media ecosystems (see here for a previous lift letter on ad blockers: Ad Blockers). There are three main justifications that the companies that produce ad blockers cite: 1) advertising today undermines user privacy, 2) the advertising experience severely slows down / degrades the browsing experience, and 3) ads can be used to install malware on user's machines. Indeed, all are valid concerns. Companies like Google and Facebook track user behavior across the web, and data brokers like Axciom, Epsilon, and Oracle profile and sell user behaviors. This is compounded by remarketers in particular, which aggressively follow consumers with ads tailored to their specific shopping experiences - a behavior that, to the lay consumer, appears particularly disconcerting. While TripleLift only keeps anonymous user info, and focuses on low bandwidth ads, we are equally impacted by ad blockers - as they are a very blunt instrument that blocks all ads (though we are eligible to be whitelisted if we chose to pay). In response to ever-growing ad blocking, the IAB developed the LEAN ad program, to address many of the pain points above. 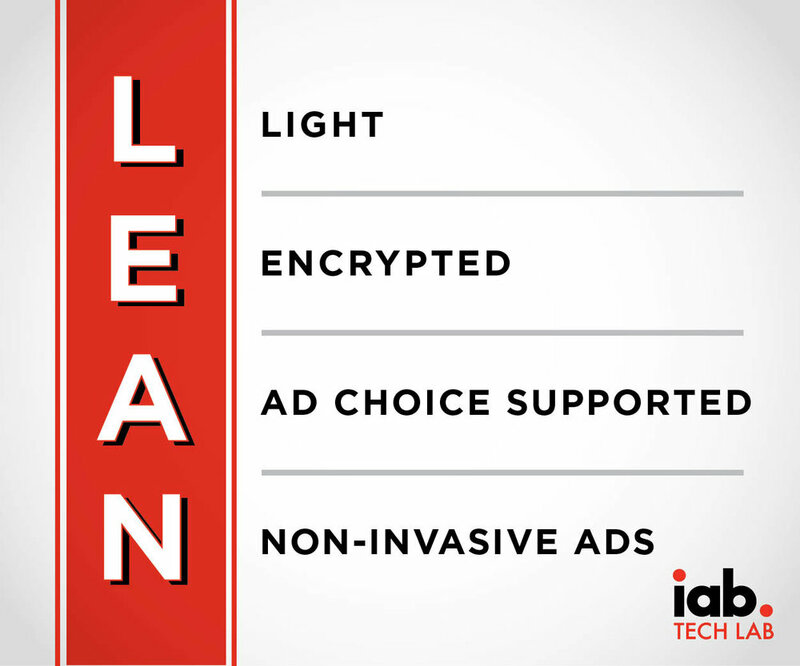 LEAN stands for Light, Encrypted, Ad-choice support, Non-invasive advertising. Light refers to the ad load - meaning the size of the ad itself in terms of megabytes. The larger the ad, the more it slows down the user experience, especially in mobile where devices are more bandwidth-constrained. Encrypted means served over https. This means third-parties won't be able to read or modify an ad - for example hijacking the clickthrough or adding malware to the ad itself. Ad-choices is the program that enables users to opt out of behavioral targeting, meaning the ad is generally served with the little blue triangle that takes you to a special page that will let you opt out. Non-invasive means that the ad doesn't interfere with the user experience. If you look at TripleLift's products, we deliver light-weight ads (except video); we are generally not-encrypted, though we could be; we do support ad-choices, but it is currently not required; and our ads are among the most non-invasive on the web. Philosophically, TripleLift is aligned with the overall principles of LEAN. This is all very new for the IAB and the industry. Almost no vendor adheres to all of it - we're pretty close and we could probably get there if it were a priority. That said, the entire LEAN program is new enough that compliance is not yet a priority. The IAB will soon be publishing a methodology to score ads, which in turn gives publishers, advertisers and technology partners various scores that they can use to continue to optimize adherence to the LEAN program. Currently there is no impact to being LEAN-compliant or not, or to getting a great LEAN score - meaning there are no real teeth to the program. Ultimately, LEAN is a great idea - it will improve the browsing experience for everyone, create a more sustainable publisher ecosystem, and is built on many of the underlying principles that drive the decisions we make at TripleLift. But the IAB needs to take the next step to give the program some real force, though it remains to be seen what form that will take.